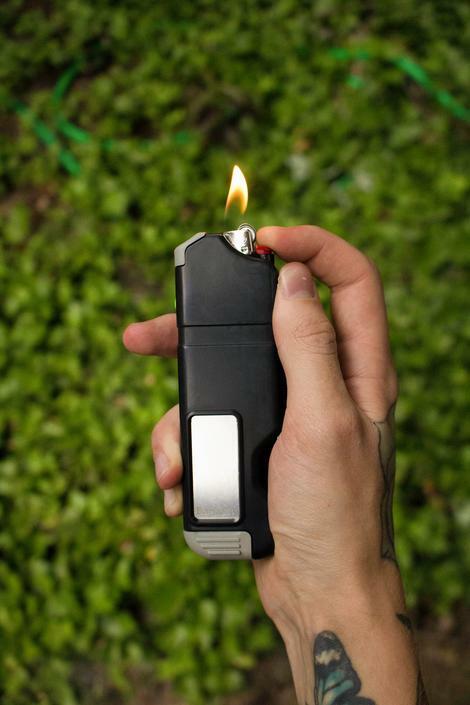 The Burnbud is an innovative all in one accessory for smokers that is guaranteed to make your life much more convenient. 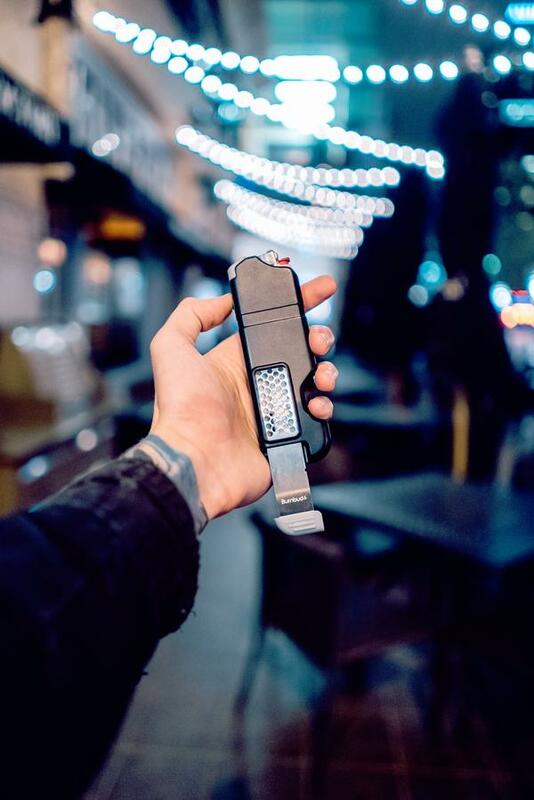 It combines all of the necessary tools that you would need during a normal smoking session into one compact and easy to pocket device. Use the bottom grey slider to reveal it's built-in grind card. Drive your dry material in a downward motion in the direction of the arrows on the card. Your material quickly grinds into a fine consistency and then falls inside of the Burnbud's internal storage compartment. When you're ready for a quick session it has an integrated dispenser that allows you to quickly fill any pipe, cone or vaporizer. Switch the green lock into it's far right position to open it's dispenser and unlock the Burnbud's piston. Carefully position the bottom hole over your pipe/paper and push down on the piston to precisely dispense the amount of material you need. It also includes a small lighter sleeve section to keep your most important accessory by your side at all times and for good measure they threw in a bottle opener attachment.